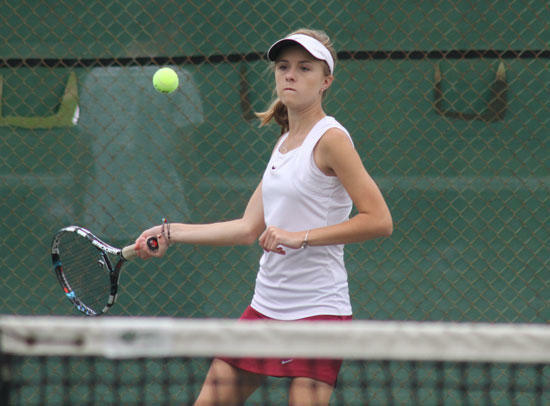 Cannon County’s Jordan Hollis and Sarah Hickman defeated Livingston Academy’s Hannah Hoover and Rachel Allred 2-6, 6-4, 7-6 (7-5) Tuesday in the District 8 A/AA Individual Tournament girls doubles title match at Tennessee Tech. Central Magnet defeated Cannon County 4-1 in the championship match to win the girls title. Central had beaten Friendship 4-0, while Cannon County beat Livingston 4-0 in the semifinals. Hollis and Hickman advance to the Region tournament next Monday at Tech.